Garden suburbs were the almost universal form of urban growth in the English-speaking world for most of the twentieth century. Their introduction was probably the most fundamental process of transformation in the physical form of the Western city since the Middle Ages. This book describes the ways in which these suburbs were created, particularly by private enterprise in England in the 1920s and 1930s, the physical forms they took, and how they have changed over time in response to social, economic and cultural change. Twentieth-Century Suburbs is concerned with the history, geography, architecture and planning of the ordinary suburban areas in which most British people live. 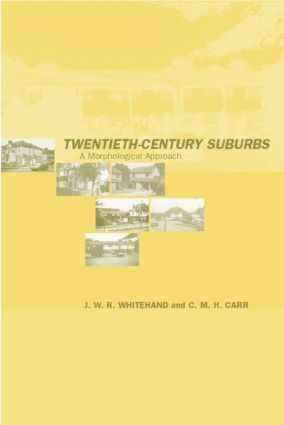 It discusses the origins of suburbs; the ways in which they have been represented; the scale and causes of their growth; their form and architectural style; the landowners, builders and architects responsible for their creation; the changes they have undergone both physically and socially; and their impact on urban form and the implications for urban landscape management.